Aloha! We are KLNK and we make fun and unique software. Available now on Google Daydream, Oculus Rift, Gear VR and Steam. The only 9-player party shooting game. Cat Crisis is made exclusively for iPhone, iPad, iPod touch, Mac, Apple Watch, and Apple TV. Up to 9 players (8 controllers + 1 console) can play together at the same time over Wi-Fi or Bluetooth. When the enemies have 9 lives, we tried to even the odds a little for mankind! The messenger that works even in Airplane Mode. Send anonymous messages via Wi-Fi, Bluetooth, or even ultrasonic waves. 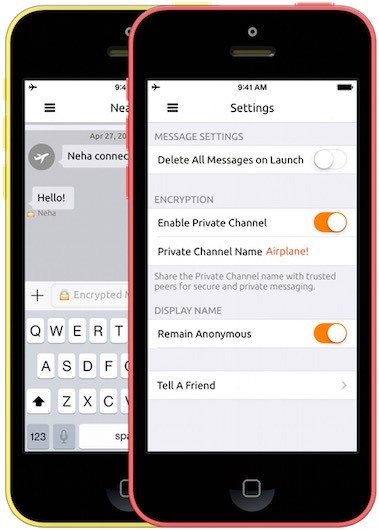 Using wireless mesh networking over Wi-Fi or Bluetooth, Airplane Messenger automatically connect to peers physically around you to allow communication even when your device is in Airplane Mode.